What you eat and how you live can either move you toward health or away from it. The key is finding a healthy balance. My goal is to help you find the best balance for you. There is a famous saying, "First food, then Medicine." I believe that poor or inadequate diet is at the root of most illnesses and health challenges, as well as our inability to heal from them. Using information gathered from the patient, I use Chinese medical theory to help people eat the right foods to help them get back into balance. During that transition, my patients also benefit from a combination of Chinese and Japanese acupuncture that gently and effectively treats a whole range of health issues. Did you know that acupuncture can be used to treat many types of women's health issues including PMS, fertility challenges, menopausal hot flashes and night sweats? It can also help the body heal and manage sports injuries, arthritis, digestive problems like IBS, Crohn's Disease, constipation and diarrhea. 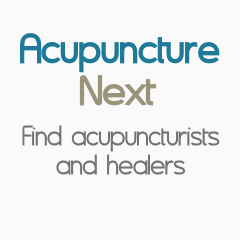 Headaches, migraines, Upper and Lower Back Pain all respond very well to acupuncture. Most patients experience only one side effect: significant stress reduction. My goal is to help each person live healthfully and without pain. I give them tools to help them achieve that goal, empowering patients to take charge of their own health so they can feel good physically, mentally and emotionally. Janine L. Agoglia MAOM, L.Ac., Dipl. Ac, Dipl. CH is a licensed acupuncturist and Chinese herbal medicine practitioner who has been practicing at Integrative Therapeutics since 2003. She graduated from the New England School of Acupuncture with a Master’s degree in Acupuncture and Oriental Medicine and practices a combination of Chinese, Japanese and Korean acupuncture as well as Chinese herbal medicine and Dietary therapy. Janine believes in an holistic approach to health and wellness. In addition to addressing patient symptoms she helps each patient look at his or her lifestyle, emotions, exercise, diet and stress so that she and her patient can work together to create the patient's optimum picture of health. Janine believes she and her patients are a team, working together with the common goal of creating better health and overall well being. Her passion is to help each person feel better in his or her daily life and help each patient overcome their particular health challenge. Janine is also a certified yoga instructor and has been teaching since 1998. She teaches group classes in Wayland and Sudbury and gives private lessons in Natick, adjusting each person’s practice to best fulfill their needs.